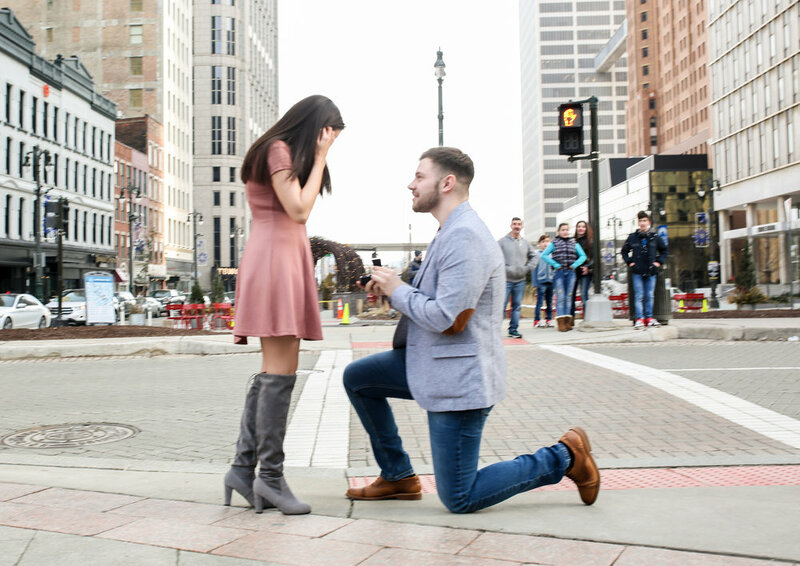 Back in January I received the sweetest e-mail from Tyler asking if I could capture his proposal to his longtime girlfriend Gabby in Downtown Detroit. Of course I said YES! I absolutely love proposals, and am always honored that i've been trusted to capture this moment.